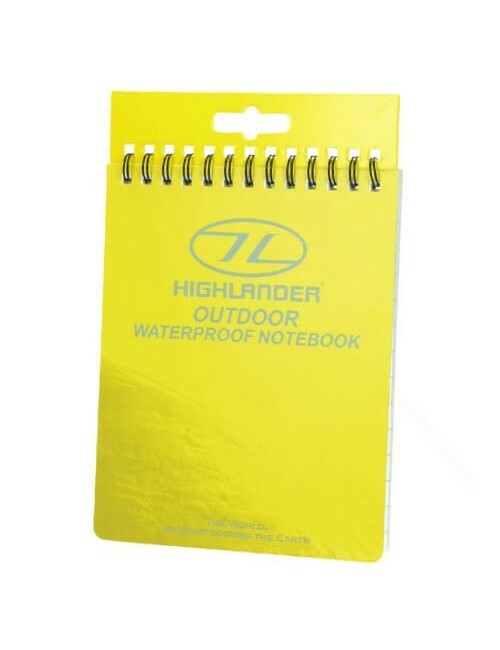 Highlander Pro-Force waterproof notebook small buy? Notebook 50 leaves of waterproof paper, to describe with an ordinary pen. Useful during rainy days with geocaching. On the back with a cm and inch ruler".